"Study to shew thyself approved unto God." Paul's words to Timothy are the reason the Dake Bible exists. Soon after his conversion in 1920 Finis Dake felt compelled by the Holy Spirit to "study the Bible without ceasing." The Bible became his constant companion, with every spare moment spent reading and studying its pages. Over the years, these "spare moments" amounted to more than 100,000 hours of diligent Bible study. 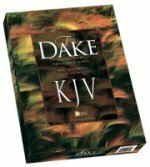 The Dake Annotated Reference Bible is the crowning achievement of more than 43 years of concentrated research. With over 35,000 commentary notes, 500,000 cross-references, and 9,000 outline headings the Dake Annotated Reference Bible gives you more resources for personal study than you will find in any other Bible. Period! Each book is carefully outlined. Thousands of verses are amplified. Obscure words and phrases are made clear. Ancient customs are explained, along with matters of history, culture, and geography. Greek and Hebrew words are defined and explored. Difficult passages are examined and their truths revealed. Doctrines of Scripture are fully expounded, with thousands of supporting verses. Every Bible prophecy is treated in thorough detail, showing which predictions have been fulfilled, and which await the future. The dispensational framework of Scripture is masterfully presented. 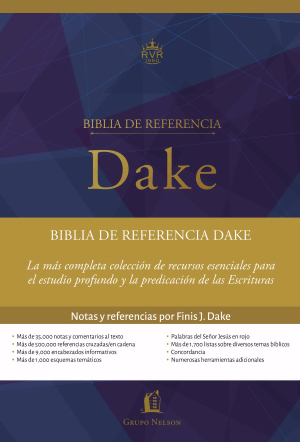 The Concordance contains every word found in the King James text, along with Index references to Finis Dake's notes for thousands of Bible topics. In short, the Dake Bible is the ultimate tool to help you truly understand Scripture and "rightly divide the Word of Truth"